The Marvel Cinematic Universe has been going strong for nearly a decade. In the years since Iron Man was released, Marvel Studios has done a fine job of getting the rights back to most of their characters, but there are some notable exceptions. 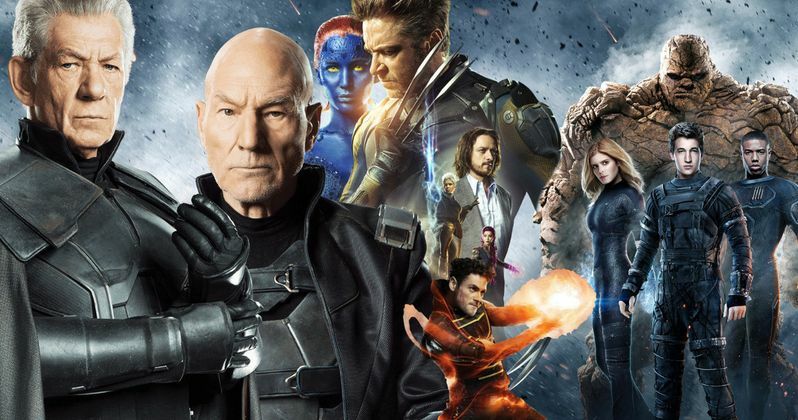 Mostly, 20th Century Fox still owns the rights to Fantastic Four and the X-Men. However, according to Stan Lee, Marvel Studios will get the rights back to those characters. Eventually. As reported by Comicbook.com, Stan Lee recently appeared at Wizard World Nashville. While speaking to the crowd, he revealed that, at least as far as he's concerned, Marvel Studios will get the rights back to X-Men and Fantastic Four "sooner or later." Here's what he had to say about it. The 94-year-old Stan Lee, ever the optimist, sounds fairly confident. But he also isn't necessarily privy to every bit of information when it comes to the inner workings of Marvel Studios. He could just be stating a personal feeling, as opposed to actually having any insider knowledge of the situation. Over the summer, Marvel Studios President Kevin Feige stated that they have "no plans with the Fantastic Four right now. No discussions about it." He didn't mention X-Men at the time, but Fox has found new life with recent hits like Deadpool and Logan, so they are much less likely to let those rights go anytime soon. At one point, Marvel wasn't in the best place and they decided to license the film rights to many of their characters to various Hollywood studios. Over the years, most of the rights have reverted back to Marvel, but X-Men and Fantastic Four are two of the biggest properties that are still controlled by another studio. That has led to some friction over the years, with Marvel pulling X-Men and Fantastic Four titles from the comics and doing minimal merchandising for those properties, since it would serve to benefit Fox. Sony is the other big player as they control the rights to Spider-Man and his rogues gallery. The major difference being that Marvel managed to work out a deal with Sony for Spidey to appear in the Marvel Cinematic Universe, with Spider-Man: Homecoming becoming a massive hit this summer as a result. Spider-Man is also set to appear in the upcoming Avengers: Infinity War and the still untitled Avengers 4. While the X-Men rights seem far out of reach, Fox has failed repeatedly with the Fantastic Four on the big screen, most famously with 2015's disastrous reboot. However, the studio reportedly has two Fantastic Four related projects in development, with a Doctor Doom movie in the works and a Fantastic Four movie that is said to be "kid friendly" and based in part on Mark Millar's Kindergarten Heroes. Despite Kevin Feige's comments, if one or both of those projects fail, it isn't hard to imagine Fox making some kind of deal.